Note that in the Julep above, the mint is not pulverized, or ‘smashed.’ In my opinion, that makes it superior to the Smash, in which the mint is smashed and bitter flavor released into the drink. I prefer a non-smashed Julep with plenty of mint so that I get a good amount of menthol (the alkaloid) into the drink without breaking down the mint so much that other bitter alkaloids (found in the thicker parts of the leaves) are also added. For those that wonder about the Brandy Smash (No. 2) – it is the same as the No. 1 above, but with Jamaica rum dashed on top after the drink is otherwise finished. Unfortunately, this is just one more bit of pre-prohibtion American mixological knowledge that seems just a bit to finely-pointed to have survived into modern practice. I mostly see Smashes served, even though they are called Juleps. It is also worthy of note that none of the printed recipes for the Mojito Collins (it was early called a Pedro Collins with mint, after all) from the 1930’s and 1940’s ever indicate to crush the mint – it is just shaken with the other shaken ingredients. Mint is a special lady and she will give you her best only when she is treated gently. Someone in a forum at the Wormwood Society objected to an earlier post I put up about the legal status of absinthe in the U.S.A. In this post I shall clarify what I meant to communicate about American-market absinthe. 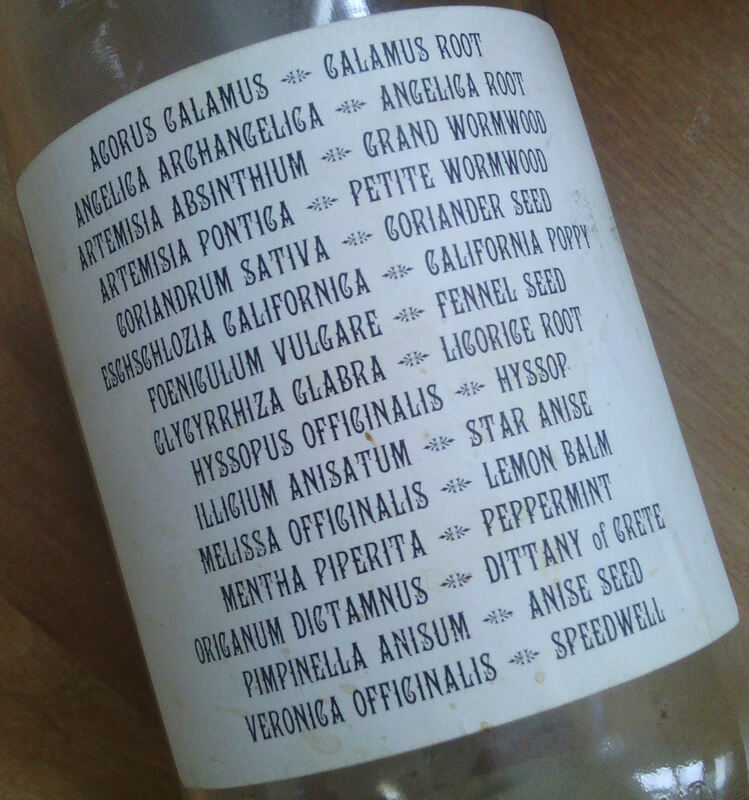 In October, 2006, I macerated and distilled (in a stainless-steel pot with a copper head) my own ‘California’ Clandestine absinthe. I based it upon a nineteenth-century formula, but added California poppy to it. It should go without saying that I did my distilling somewhere where personal distilling is legal! I got about four liters and it was all consumed during my Halloween party just a few days after distilling. I remember it as being good. I also remember being happy and relieved at seeing that it showed a good louche when water was added. A couple of local bartenders (now managers) were on hand that night that might remember it: Giovanni of Sadie and Greg of Hostaria del Piccolo. The hausgemacht aside, I had no idea at the time that within a matter of months, the status of absinthe in the U.S.A. would change – at least seemingly. In 2007, a sort of absinthe began to be available in the U.S.A. again. I remember being excitedly told at the time by someone closer to the proceedings than myself, that the Kübler people had successfully argued that the product that they had specially formulated for the American market did not contain enough thujone to violate the 1912 ban if tested for using laboratory equipment from the time of the ban. I don’t know if this is actually true. But, the result of Kübler’s negotiations (and others), was that the ban on thujone (found in wormwood) would be interpreted to allow a product to be labelled as absinthe and sold in the U.S.A. as long as it was officially “thujone-free,” and that the threshold at which the product would be considered to contain thujone would be 10 ml. (per liter). Therefore, American market absinthe must contain fewer than 10 ml. (per liter) of thujone. The European Union allows more than three-times that amount – up to 35 ml. (per liter). Tests have shown that absinthe bottlings from before the various bans of about a hundred years ago had an average thujone content of about 25 ml. (per liter) and a median thujone content of about 33 ml. (per liter). That means that the typical pre-ban absinthe would not be approved for sale in the U.S.A. today, but would meet the requirements for sale in Europe. I suppose the fact that the ban still stands in some capacity in the U.S.A., but that the interpretation of the ban has been loosened, is the reason that there has been some amount of confusion and argument. The distillers of American-market absinthe, and many drinkers, have engaged in plenty of excited boosterism that never dwells on restrictions still in place. On the other hand, some of those that mistakenly believe that ‘real’ absinthe is a psychedelic drug have suspected that American-market absinthe is deficient for purposes of ‘tripping’ because of the relative lack of thujone. Makers of bad “absinth” from places with little-or-no history of making the real thing, like the Czech Republic, Russia and Israel are often happy to suggest as much. There is plenty of bad stuff from Europe, but all of the truly great bottlings also come from there, in my opinion. If you ask me, nothing for sale in the U.S.A. is as good as Jade Liqueurs’ (Ted Breaux) Absinthe Edouard or Combier Blanchette. 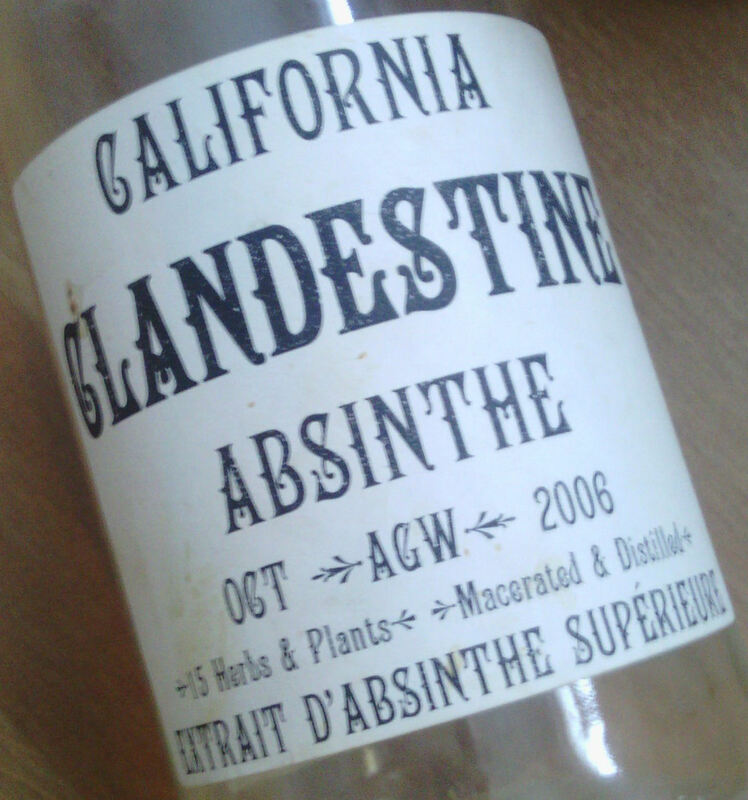 Some American-market absinthe is good, but always seems to be missing something in the flavor, in my opinion. That said, I have never tasted an American-market absinthe that is bad in the way that so-called ‘absinth’ from the Czech Republic is. Breaux’s highly reputed European-market absinthes are being made available in the U.S.A., at least in versions that contain fewer that 10 ml. (per liter) of thujone. Since I maintain a stock of the European bottlings, I will be eager to taste for any differences between those and the bottles that will be available here. To sum up, I would say, yes, we have absinthe in the U.S.A. – just not the same absinthe that one can buy in Europe. Until you find a good amount of the absinthe bottlings being sold here also being legally sold in the U.S.A., it shall be proof that the governmental ban continues to have at some qualitative effect on what Americans can buy and sell as absinthe – if in no other way than keeping all of those bottlings out of our market.